This Belleek vase features the Claddagh along with embossed Celtic knot-work. This Belleek vase is a violet shape that features the shamrock trellis motif. The Belleek China Durham vase features green shamrocks along with an embossed Celtic motif. This Belleek China vase with shamrocks is the smaller Kells design. 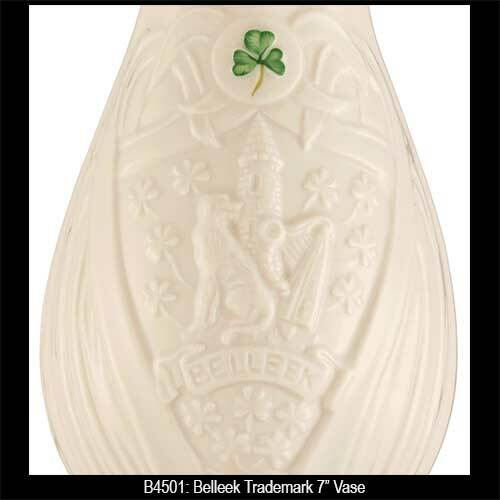 The Belleek Gaelic vase features hand painted shamrocks along with the Claddagh symbol. Belleek Typha Vase is a small spill design that is enhanced with an embossed motif along with a green hue and a gold accented rim. 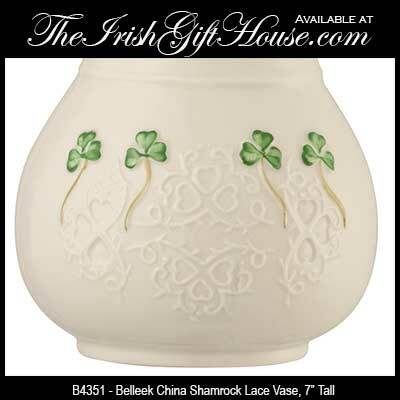 This small Belleek China vase features hand painted shamrocks. This Belleek China vase with shamrocks is called the mini Cashel. The Belleek Corrib mini vase features hand painted green shamrocks. 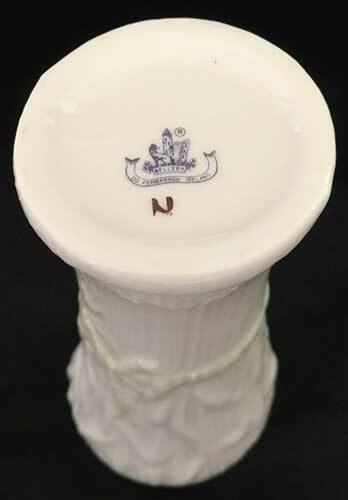 This Connemara vase from Belleek China is a toy size. The small Belleek castle vase features an embossed motif along with green shamrocks. 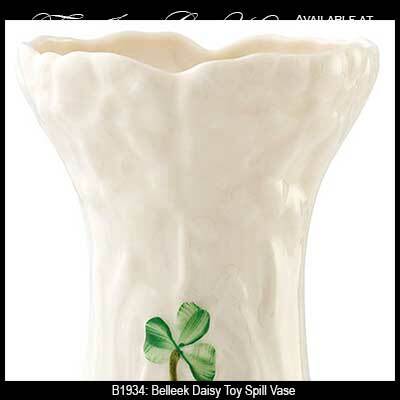 Belleek vase is a fine china toy size design that features hand painted shamrocks. The Irish are known for their beautiful craftsmanship and Belleek, with their exquisite vases, are masters in this field. 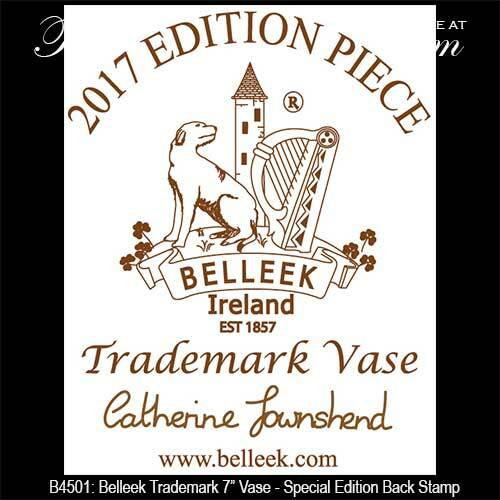 If you really wish to be impressed with Irish artistry then you should browse the Belleek baskets that feature hand woven strands of china and individually applied flower petals. From Belleek Christmas ornaments to the Belleek tea pots, every china figurine is masterpiece that was crafted by the banks of the river Erne in Co. Fermanagh. You may also wish to browse our collection of Galway Crystal vases and the assortment of Royal Tara China vases. Each is distinctive in their own presentation, but all are distinctively Irish.